There were no people sitting in the stands of the Palestra on Tuesday night. No opposing team, no refs and even no basketballs. But there was a party. 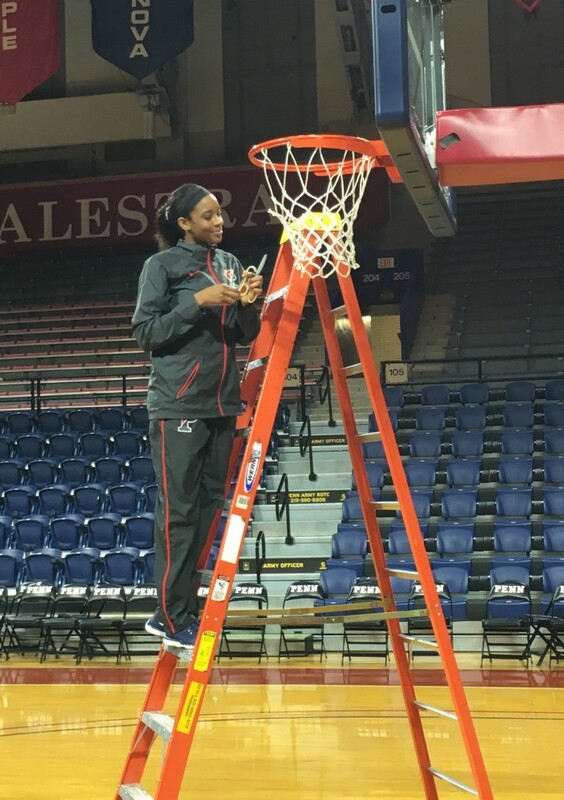 After beating Princeton, on the road, to capture the Ivy League championship in thrilling fashion, the Penn women’s basketball team made the short one-hour trip home to the Palestra to celebrate with their trophy and cut down the nets in front of only a few family members (and media members). It was definitely worth it, especially after the players walked into their home gym and saw a giant picture of the team on the scoreboard, under the headline: Congratulations to the 2015-16 Ivy League Champions. Chambers is a big reason why it was possible. 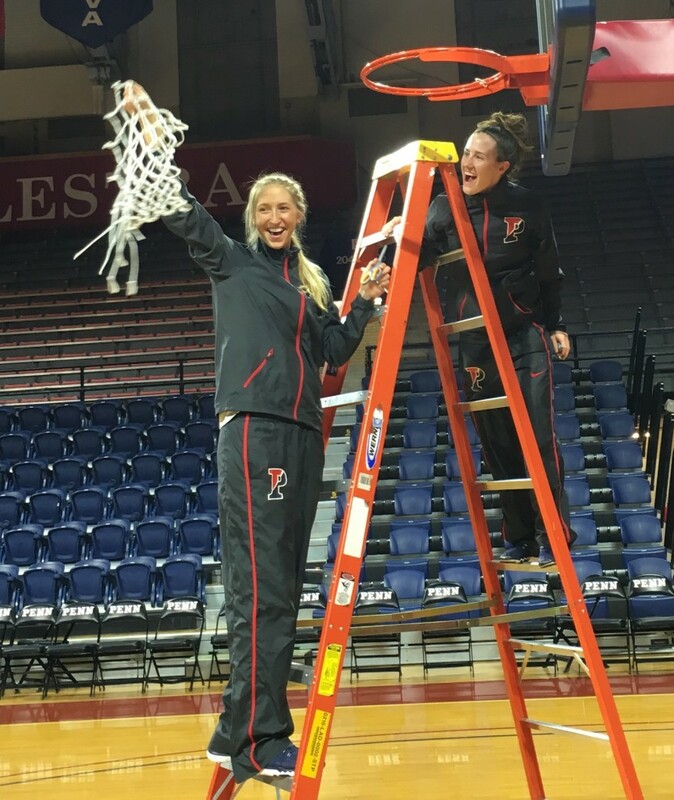 The Monmouth transfer wasn’t at Penn yet when the Quakers also went to Princeton and stunned the Tigers to win the Ivy League title two years ago. 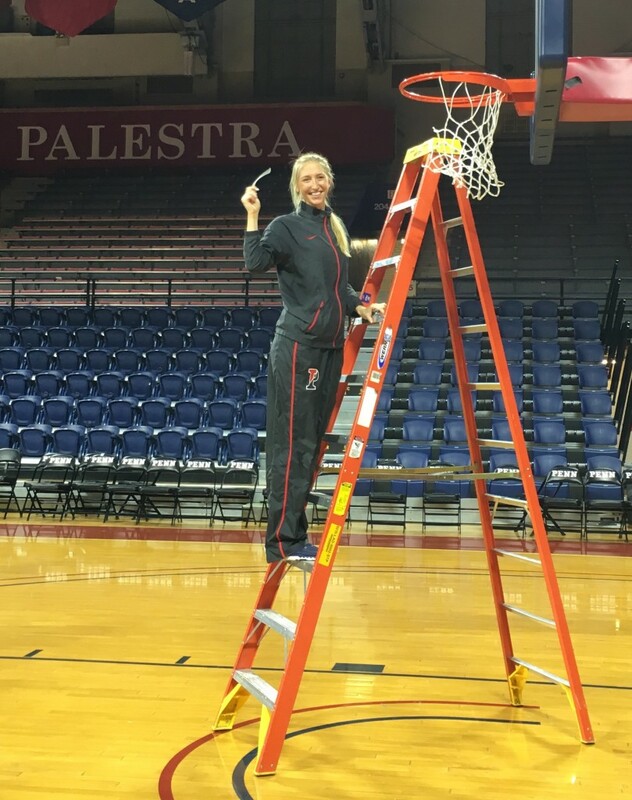 And she was only a practice player last season (due to NCAA transfer rules) when Princeton celebrated its undefeated regular season and Ivy title on the Palestra floor. 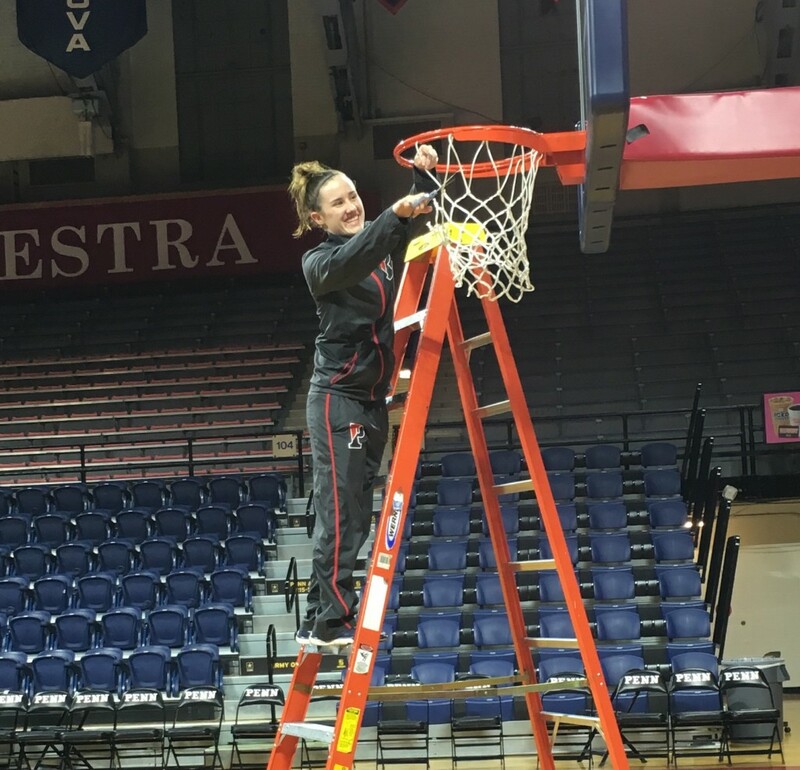 But this year, according to head coach Mike McLaughlin, she proved to be the missing piece as Penn booked its second NCAA Tournament berth in three years, effectively running the point all season while Sydney Stipanovich and Michelle Nwokedi dominated the inside and Anna Ross emerged as “one of the best guards in the league,” according to Princeton coach Courtney Banghart. Chambers proved that Tuesday at Jadwin Gym, helping to seal the win and fend off a late Tigers charge with four clutch free throws in the final 20 seconds. Also in the fourth quarter, she chucked up an off-balance prayer as the shot clock expired that went in — perhaps the most memorable play of Penn’s most memorable win of the season. 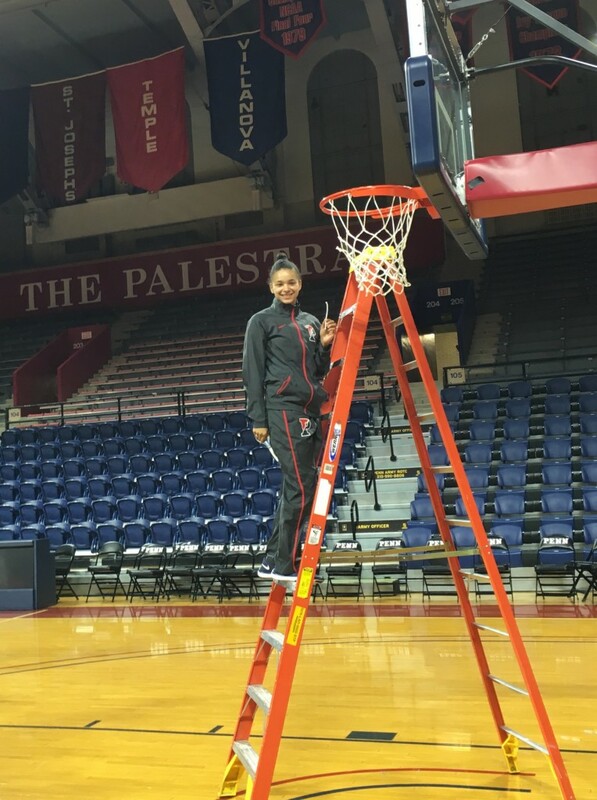 Afterwards, at the Palestra, Chambers called it one of the best shots of her life. 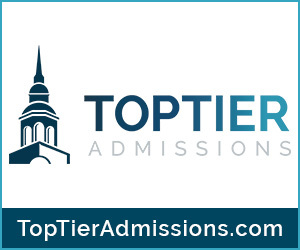 There was nothing lucky, of course, about the Quakers going on the road to beat a very good Princeton team that came into the contest tied with them atop the Ivy League. And there was certainly nothing lucky about Penn’s entire season as the team has set the program record for wins (24) while going a very impressive 13-1 in Ivy play. 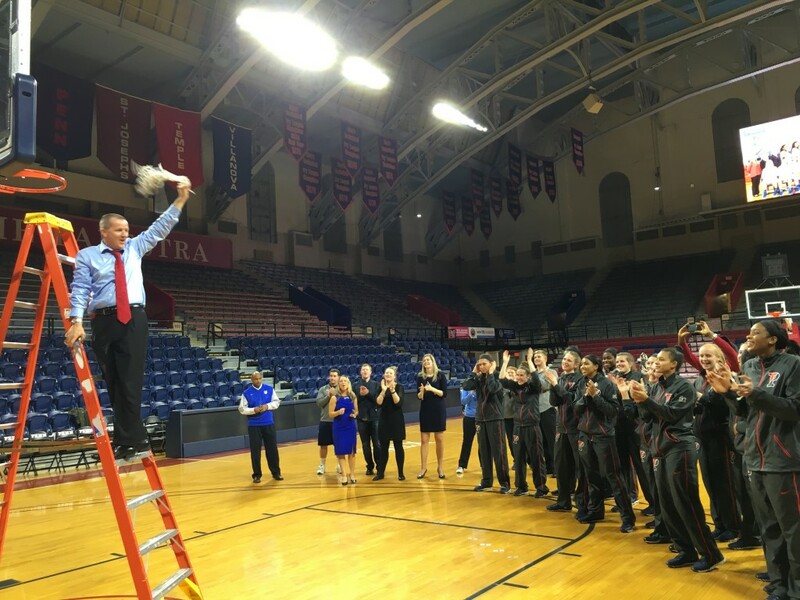 It remains to be seen where the Quakers will be seeded and whether they can pull off the program’s first-ever NCAA Tournament win. 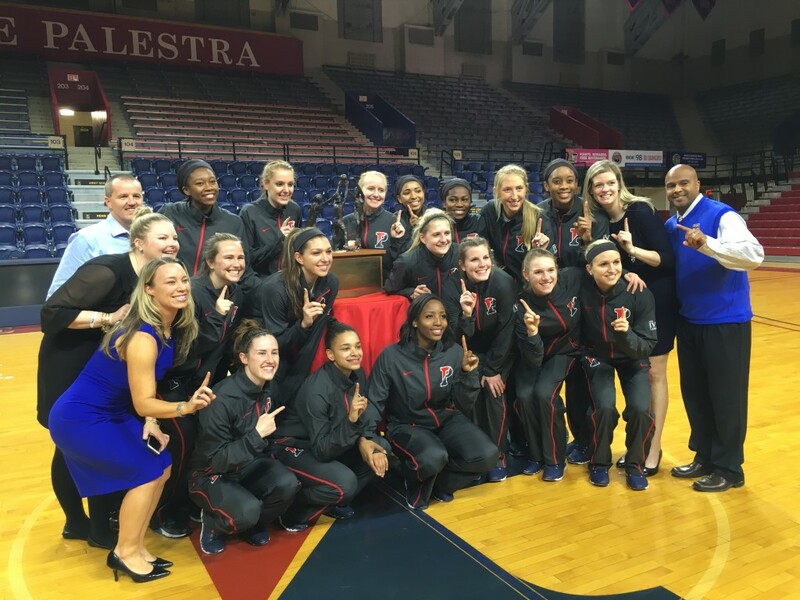 But for now, it was all about enjoying the sweet moment of winning a title — and doing so in the home gym of their biggest rival before returning home to the friendly confines of the Palestra to keep the party going. Stipanovich and Chambers finish the job. 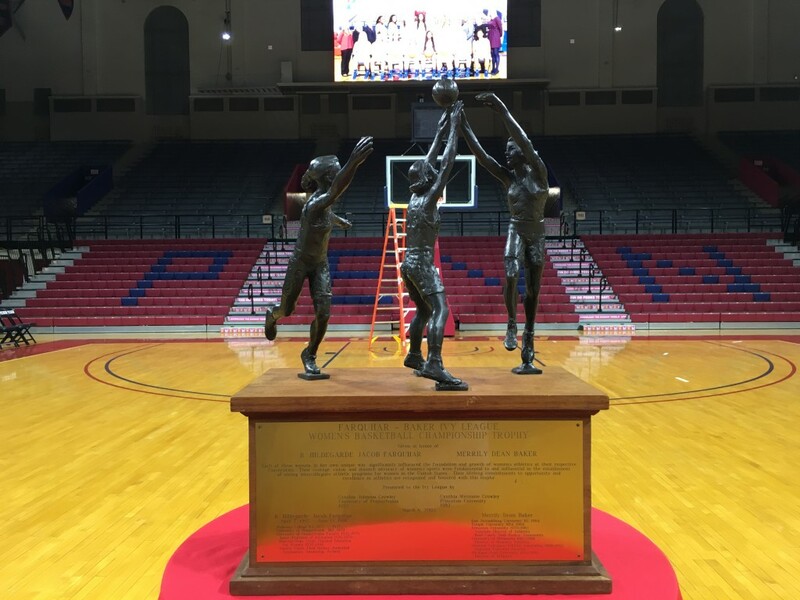 The Ivy League championship trophy at center court of the Palestra.